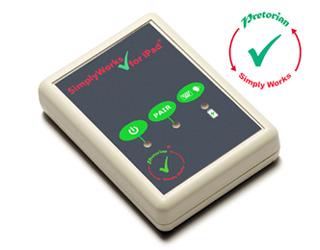 SimplyWorks for iPad allows SimplyWorks products to be used with an iPad or iPhone. 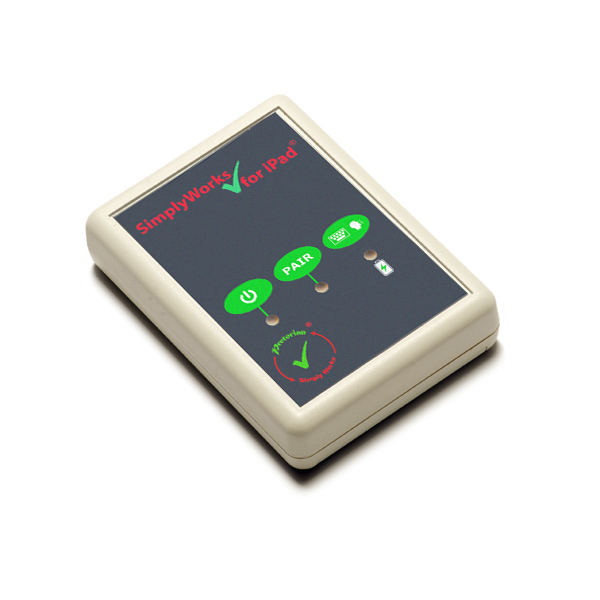 It is primarily intended to allow any existing SimplyWorks equipment that customers may have to be used with iPad, rather than forming part of a new system, and was designed in response to customer requests to avoid unnecessary expense in purchasing new switches etc. Having said that, there may be instances where SimplyWorks for iPad may necessarily form part of a new system. 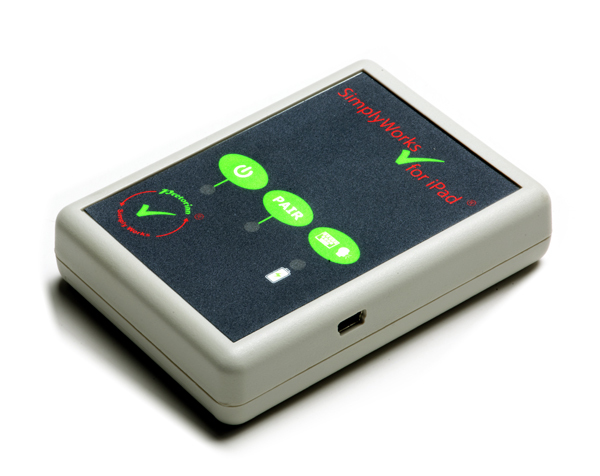 For example, the combination of SimplyWorks Joystick and SimplyWorks for iPad allows the former to connect to an iPad and achieve iOS Switch Control scanning, just like J-Pad. Since SimplyWorks Joystick has a lower operating force and can be mounted, it may be a better choice in certain situations. Similarly, the combination of SimplyWorks Keyboard and SimplyWorks for iPad avails the user of a big key keyboard on an iPad. Although iPad never affords the user a conventional cursor, SimplyWorks Joystick, in combination with SimplyWorks for iPad may be used to achieve full iOS Switch Control access. 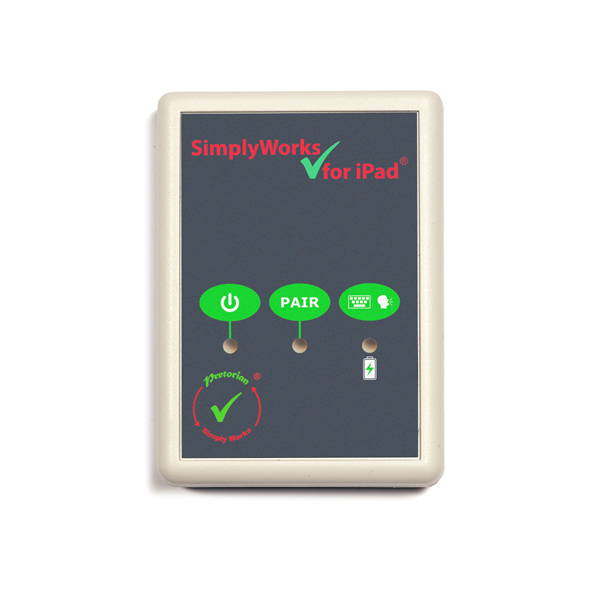 Alternatively one or more SimplyWorks Switches may be used with SimplyWorks for iPad to achieve the same. If you are considering SimplyWorks for iPad as part of a new system, please contact Pretorian or your local Pretorian dealer to discuss the options.